In October of 2018, the city unveiled its first Street Piano to support the city’s growing music and art scene. 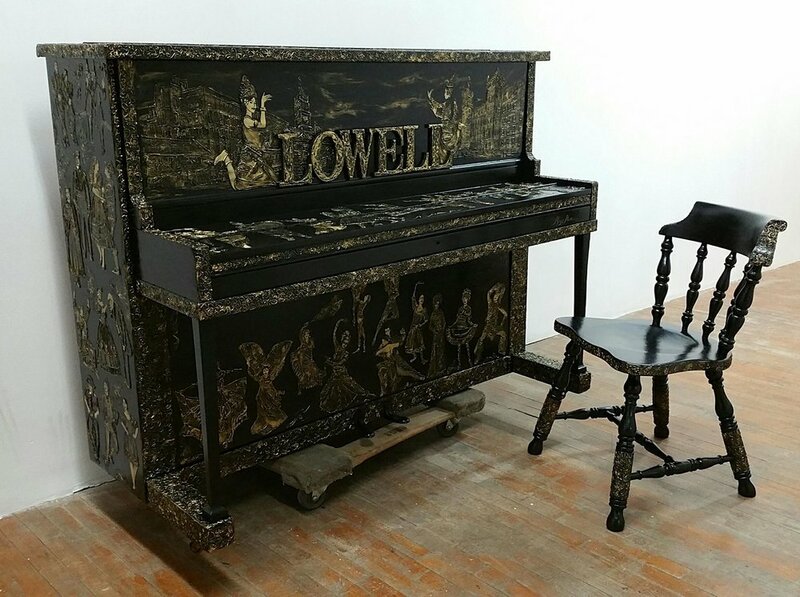 The piano was donated to the city by Lowell Resident Paul Belley, and has been transformed into a work of art itself by local artist Margo Thach. Location: Merrimack Street in front of the Enterprise Bank fence.